Atascadero Community Development Director Warren Frace announced this week that he is leaving the city for the same position in his hometown of Paso Robles, which comes with a boost in pay. Frace’s declared departure follows Atascadero’s city manager, assistant city manager, public works director and community services director each leaving their posts in the last three years. Debate over the addition of a Wal-Mart store to Atascadero has been occurring for the last 10 years. In 2012, the city council approved a planned development at the corner of El Camino Real and Del Rio Road that includes a Wal-Mart and an adjacent shopping center. 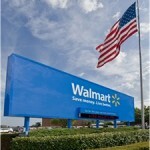 Litigation then delayed construction for two years, but Wal-Mart has not applied for building permits since prevailing in its legal challenge last year. Still lingering is the issue of how the city and developers will distribute traffic mitigation costs. The plans approved for the Wal-Mart and adjacent development require the construction of nearby roundabouts to ease traffic impact to the area. Initially, the city estimated the costs of the roundabouts to be $4.5 million. But, last year, Atascadero officials announced that the roundabouts actually costs approximately $12 million. Atascadero has a cost-sharing deal with Wal-Mart and the shopping center developer, but the city could have to pick up a tab in the millions for cost overruns. It is unclear whether the parties will negotiate a new deal. The price of fuel is down so just drive to Paso? I’m sure Walmart will get their business and the public can buy the fuel for now.